Latvia’s National Champion “Balanced Defender” Rose to the Top After 24 Talented, Young Competitors from Around the World Battled at Kidexpo Event in Paris, France. On Saturday, November 3, thousands of people came to cheer on their countries’ national champions in a whole day of fierce competition featuring 24 talented, young Bladers from all around the world. 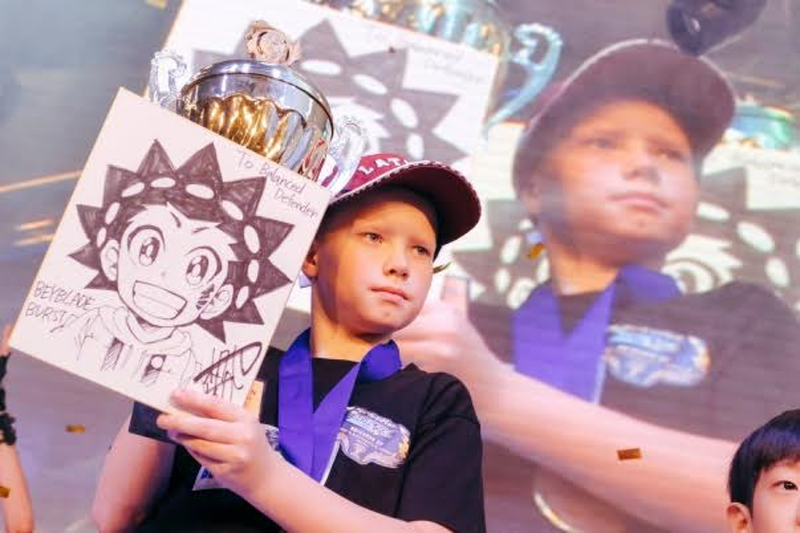 The 2018 BEYBLADE BURST World Championship, which took place at Kidexpo in Paris, France, crowned its winner after 6 hours of epic battling. The victor, Latvia’s “Balanced Defender,” earned the ultimate victory.